Local artist, Keenan Cassidy, completed a new painting, named Koi. Check out his blog post about this piece. 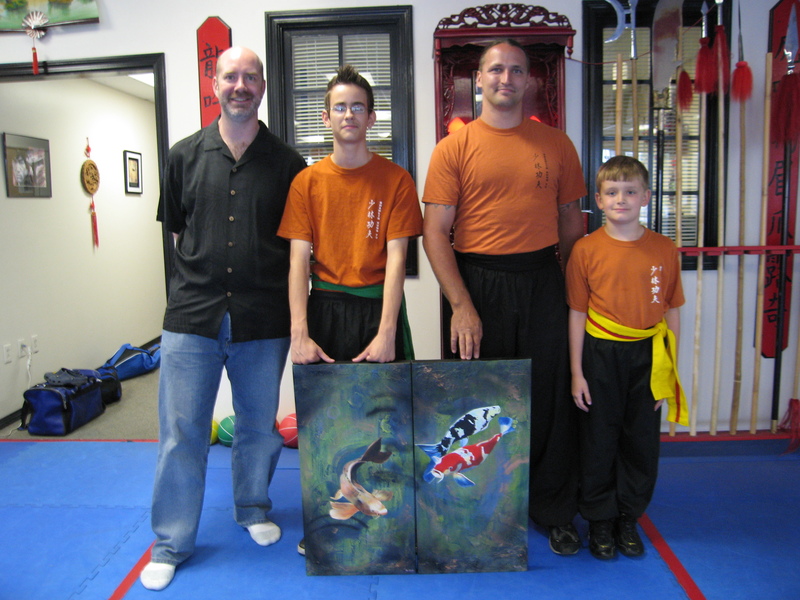 Keenan Cassidy, one of the kung fu students and recognized local artist, made a painting of koi fish for the school. Sifu had mentioned that it would be really cool to have a painting of yin-yang koi fish. Matt, another student, and parent of Daniel, was also interested in having a painting of koi fish in his home office. So Keenan decided to donate one painting to the school and accept a commission to create the second painting for the home office. Making it even more interesting, he opted to create a diptych, which is a painting on multiple panels. 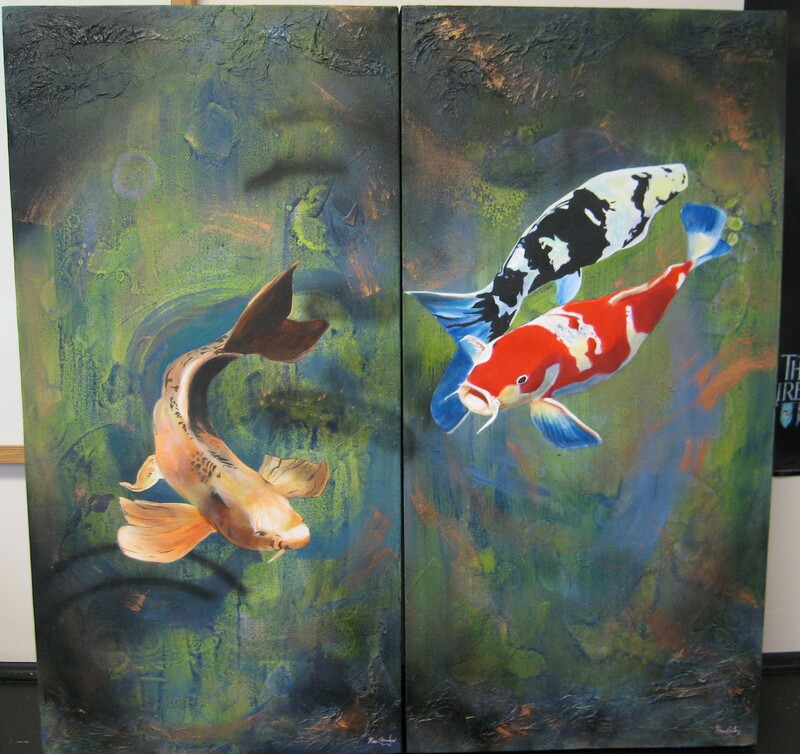 “A layered and fun artwork featuring koi fish lost in very Worcester-esque green waters… a diptych consisting of two 15″ x 30″ canvases.” See Keenan’s Blog. The double koi now reside in the school, in Worcester, MA, on the wall adjacent to the parent’s gallery. 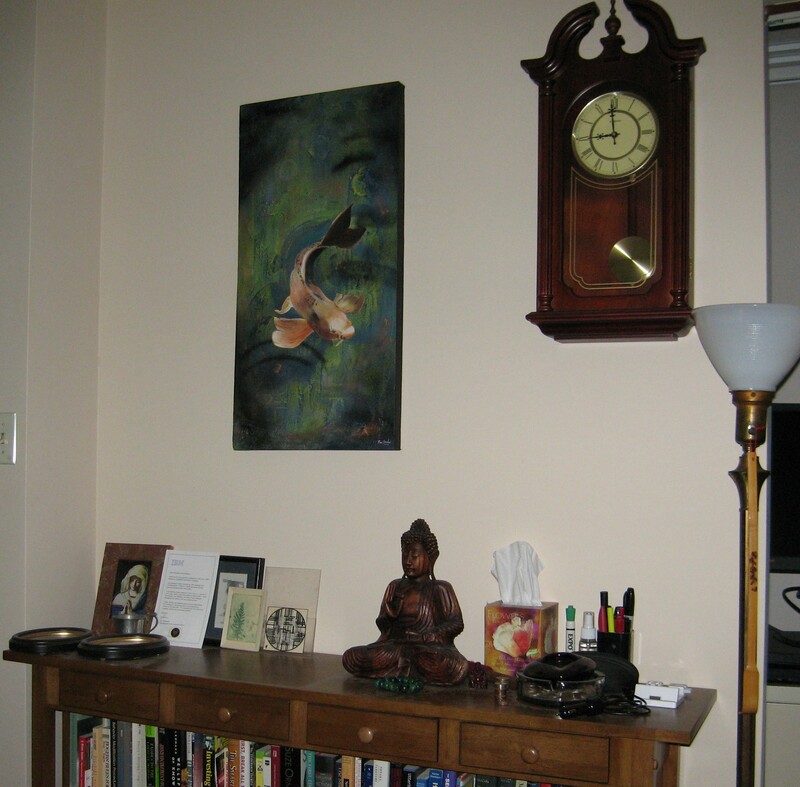 The single koi is presented in Matt’s home office in Shrewsbury, MA.